Source control (or version control) is the practice of tracking and managing changes to code. Source control management (SCM) systems provide a running history of code development and help to resolve conflicts when merging contributions from multiple sources. Whether you are writing a simple application on your own or collaborating on a large software development project as part of a team, source control is a vital component of the development process. Source code management systems allow you to track your code change, see a revision history for your code, and revert to previous versions of a project when needed. With source code management systems, you can collaborate on code with your team, isolate your work until it is ready, and quickly trouble-shoot issues by identifying who made changes and what the changes were. Source code management systems help streamline the development process and provide a centralized source for all your code. Git is an open-source distributed source code management system. Git allows you to create a copy of your repository known as a branch. Using this branch, you can then work on your code independently from the stable version of your codebase. Once you are ready with your changes, you can store them as a set of differences, known as a commit. You can pull in commits from other contributors to your repository, push your commits to others, and merge your commits back into the main version of the repository. To learn more about Git, go here. 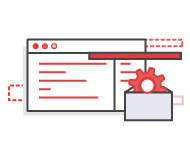 AWS CodeCommit is a managed source control system that hosts Git repositories and works with all Git-based tools. AWS CodeCommit will store code, binaries, and metadata in a redundant fashion with high availability. You will be able to collaborate with local and remote teams to edit, compare, sync, and revise your code. Because AWS CodeCommit runs in the AWS Cloud, you no longer need to worry about hosting, scaling, or maintaining your own source code control infrastructure. 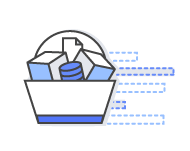 CodeCommit automatically encrypts your files and is integrated with AWS Identity and Access Management (IAM), allowing you to assign user-specific permissions to your repositories. This ensures that your code remains secure and you can collaborate on projects across your team in a secure manner.